ThermoBLAST-CE contains a huge repository of curated and pre-formatted sequence databases that can further be arranged into a customized sequence playlist. 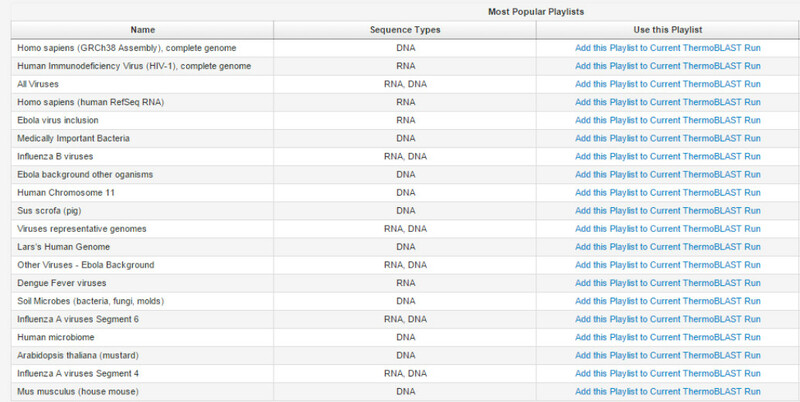 Some of the most popular playlists are shown below. Customers now have the capability to build a background database as large as they need without restricting memory, storage or computational capacity which is a huge source of pain for those researchers that have limited local computational capacity.